Located right on the beach of Agios Georgios, the 4-star Nissaki Beach Hotel offers boutique-style accommodation following the minimal Cycladic style. It includes a heated swimming pool with hot tub surrounded by palm trees and a seaside restaurant. 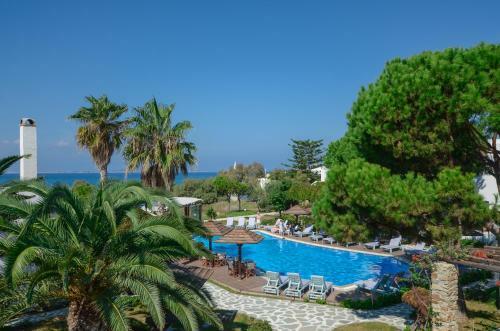 Just 10 metres from the beach, this award-winning hotel enjoys a beachfront location on the spectacular Agia Anna Beach, one of Naxos� most popular sandy beaches. The Alkyoni Beach Hotel is a beautiful resort boasting traditional Cycladic architecture and favourably located on St. George�s Beach and only a 10-minute walk from Naxos Town. The rooms of Alkyoni Beach Hotel are bright and airy.